Gather to Remember. Pray for Change. As people of faith, we seek positive change and gun safety legislation. 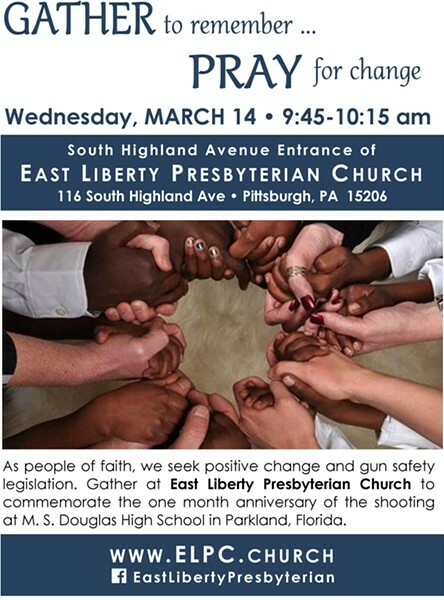 Gather at the South Highland Avenue entrance to East Liberty Presbyterian Church to commemorate the one month anniversary of the shooting at M. S. Douglas High School in Parkland, Florida.